What Parts of a Home can be Recycled? Home remodeling and demolition produces a truly significant amount of waste. Breaking down existing structures in order to build new ones requires a place to put the debris. Canada construction industry generates around 9 million tons of construction and demolition waste annually. The EPA estimates that the U.S. construction industry creates about 550 million tons of waste per year, and around 90 percent of that is demolition debris. Too often, this waste heads straight for the landfill. Although a good amount of this debris could be reused or recycled, much of it ends up in a landfill. Fortunately, advocates are working to make it easier for property owners and contractors who work in building demolition or renovation to recycle debris or reuse it in new ways. This effort cuts down on the sourcing needs for many construction materials, such as stone, sand, cement, paper, metal, and more. Keeping useful materials out of the landfill can help to control costs and even provide a way for people to save or earn money in the process. Homeowners should remember that recycling facilities are heavily region-specific, however. Options readily available in one province or state may not be easy to find in another one. People can aim to do the best they can with programs in their area. Some time spent researching local resources will help identify what is possible and realistic. Extra effort to keep the materials in better condition ensures a higher likelihood it will be acceptable for any purpose. Remember that - even if a processing center is not available - many materials or objects can be sold or repurposed in some way. This guide identifies many ways parts of the home structure could be reused or recycled. Much of the home is up for some kind of recyclable or reusable material. Homeowners may have to break down the components of the house and property into several pieces and separate them out for recycling by different organizations. In some cases, materials can be easily removed and reused in their whole form, without much need to process them. Bricks, wood, and glass are good examples of this. In other cases, the product requires at least some preparation so that it can be converted into something new. Concrete, metal, plastic, and gypsum typically all require a few extra steps, most of which cannot be done by homeowners. As homeowners start to think about their demolition or remodeling plans, they can go down this list and decide where to place their focus. It can also guide efforts to research local facilities and organizations that can handle the recycling burden, or direct the existing materials to people who can reuse them. Concrete is a building material that is heavily resource-intensive. Its extreme weight requires a lot of energy to produce, demolish and dispose of it. Since it is such a common component of modern construction, experts are continually looking for ways to streamline concrete recycling. Making recycling plants locally available and even movable to the jobsite can cut down on the energy consumption for transportation. It also increases the likelihood that property owners will choose recycling instead of sending concrete to the landfill. With attention to the resources needed to process concrete, homeowners can minimize waste in multiple areas. Concrete is made of gravel, sand, cement, and water. Builders often install steel rods inside the concrete, called rebar, to provide additional support. Once the demolition team removes the concrete from the property, it must be taken to a recycling plant for processing. Typically, anything stuck to the concrete needs to be removed before crushing it. Recent innovations allow recycling companies to extract rebar using magnets, which used to take a lot of manpower and time to complete. The concrete gets broken into smaller or larger pieces, depending on the purpose. Smaller pieces can be added to dirt and used as a road base under a layer of concrete or asphalt. This requires the concrete to be pummeled to a much smaller size. Builders are also realizing the benefit of using coarse concrete chunks in the production of concrete, not just as a layer underneath. By reusing concrete in this way, manufacturers can rely on less natural stone gravel. Evidence suggests that concrete produced this way has a strength and durability similar to concrete built with natural gravel pieces. Combine a finite natural resource with a strong material ideal for uses in housing, and the high degree of metal recycling makes a lot of sense. Unlike concrete, manufacturers cannot simply make more iron, aluminum, or copper. When shaped and treated properly, they can provide a building material that is lightweight, durable, and energy-efficient. Metal featured in many countries’ first attempts at recycling on a large scale. As a result, it is recycled in huge quantities and widely available worldwide. The U.S. recycled about 109 million metric tons (120 tons) of scrap metal in 2018, and Canada processes around 17 million metric tons per year. Scrap metal is one of the few industries in which consumers and construction professionals can earn money for their contribution instead of having to pay a fee. Since it is a limited resource but also so easy to repurpose, scrap metal is usually in demand by local recycling plants. Homeowners recycling a small quantity of cans or other household products made of metal might not make much, but a ton or two of scrap from a home structure could generate a tidy sum. Metals that do not contain iron, such as aluminum or stainless steel, may be worth more. Recycling organizations are often willing to haul away metal debris directly from the site, but people should call to schedule it in advance. 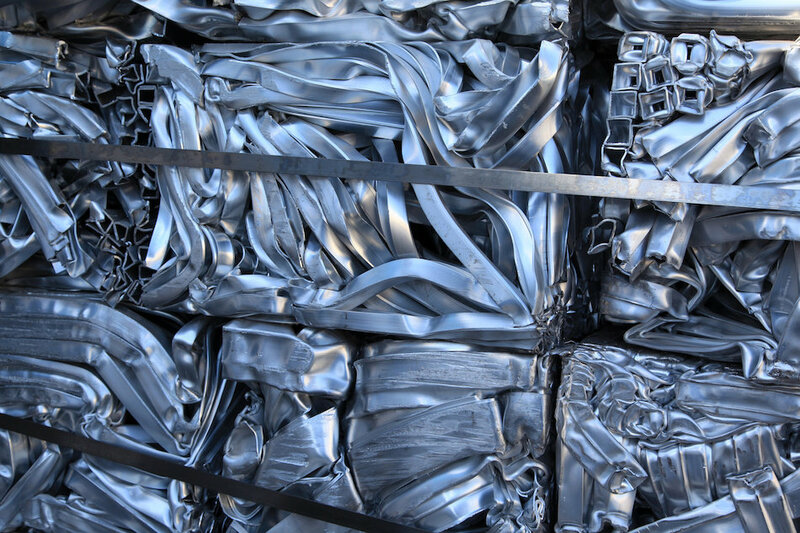 The widespread recycling of metal makes the process fairly simple for homeowners. As a general rule, if the waste contains half or more of metal, it is worth taking to a recycling company for processing. People may not be obligated to remove paint or separate non-metal products from the scrap before recycling, but should double-check with their local processing facilities. Reusing or recycling wood products depends heavily on the type of product, how old it is, and how it was prepared. Generally, people are welcome to reuse wood products that are in good condition and able to support the designated purpose. If they want to recycle them, they should first confirm that the material has not been treated with solutions that release toxic chemicals during the process. When people recycle wood, they typically compost it, break it into mulch, or burn it for energy. Natural, untreated woods are ideal for this purpose. They provide the nutrients necessary for proper plant growth without introducing harmful chemicals. Although wood-burning for heat is not a particularly efficient or environmentally-friendly way to manage wood waste, it is often not as detrimental as other forms of heating available to homeowners. Wood treated with chemicals is often not appropriate for any of these purposes, because these recycling techniques release toxins into the air, soil, and water. In particular, lumber and particle board processed before 2004 were often treated with solutions containing formaldehyde, arsenic, or chromium. All of these can be harmful or even deadly to humans in sufficient quantities. Before heading to the recycling plant, homeowners can research the types of wood that they are likely to have in the home and separate the reusable parts from the ones that might be recycled. They should ask local wood recycling and reclaiming organizations which products they are willing to take. Anything that might contain lead paint needs to be carefully handled to avoid contaminating the property with lead dust. Otherwise, treated wood in a practical condition can be put to a variety of purposes. This could include reuse in another home or in future home décor projects. Homeowners may be surprised at the amount of people who will offer to take old furniture off their hands. When researching the recycling capability of glass, homeowners may get quickly confused. Glass containers are widely recycled, but this does not apply to all types of glass. The components of glass (mostly sand) are widely available for new production. However, the ease in which certain types of glass can be reheated and molded into a new shape means that up to 95 percent of a glass item could be made from recycled glass. Unfortunately, glass recycling is sometimes not an appropriate choice for glass structures in the home, like windows. Some places will do it, but they can be few and far-between. Typically, recycling companies need glass to be whole in order to recycle it. The larger the glass structure, the more difficult it is to transport without breaking. In addition, many glass products intended for use in the home structure or other purposes are treated with chemicals or coatings that make them stronger or more durable. These treatments affect the melting temperature of the glass. This means that the glass would not melt at the same temperature as other glass more commonly recycled by the company. Instead, homeowners can look for ways that they can reuse glass in sizes or condition that renders recycling inaccessible. Glass in good condition can be reused in whole or cut to size for other practical choices. It is important that the glass have no chips or cracks in it, which would render it difficult to repair. Glass in windows and doors can last for decades or possibly centuries, even if it is not quite as energy-efficient as newer products. People should consult local charities and companies that reclaim glass materials. An old glass table could help furnish a home for a family in need. Windows or doors of a relatively recent vintage, with no lead paint, could be installed in a different home. Like a few other building materials, bricks require a lot of resources to mine, produce, and transport. Their heavy weight and bulk make them a poor contributor to a landfill, especially given how long it takes them to disintegrate. Modern bricks can be reused or recycled into a number of construction or décor items, depending on local resources available to process them. Bricks are typically made from shale or concrete. 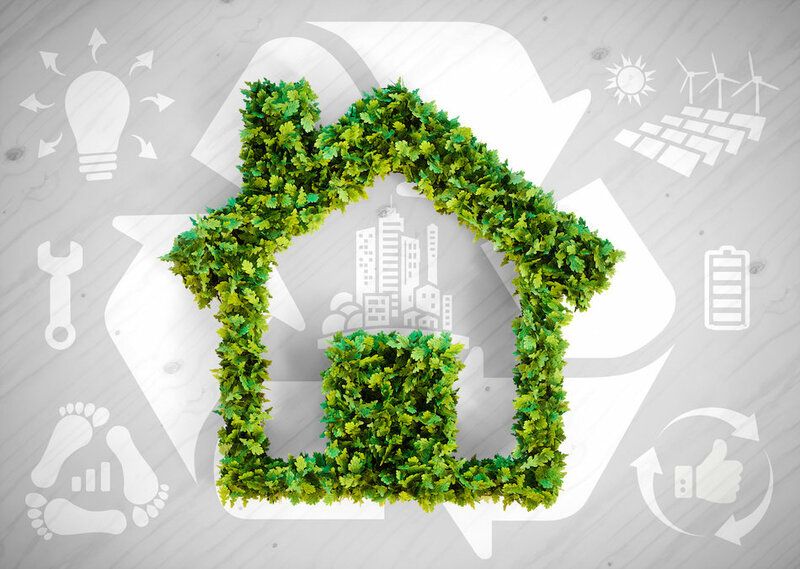 Decreasing the energy spent to draw out the raw materials for manufacturing by reuse or recycling could help homeowners cut their carbon footprint. Bricks in good condition can be fairly easily reused. Bricks are mixed, shaped, and baked at a high temperature. This makes them quite impervious to cold or hot weather, insects and rodents, and fire. Decades on a home or other building may have little effect on the bricks. People who want to take them off a home for use elsewhere only need to loosen the mortar and they may be able to pull the bricks out whole. Painted bricks laid prior to 1976 should be tested for lead paint before reuse. Homeowners might decide to keep lead-free bricks and turn them into an outdoor walkway or living space for pets. Otherwise, they can be sold or donated to an organization that reclaims the material. Bricks could also be pulverized into small pieces. Homeowners looking to create parts of a landscape that require no water could break up the bricks and use them in a hardscaping project. They may be able to sell the bricks for recycling. Some companies can turn the bricks into a powder that could be used instead of sand to line sport fields or even build new bricks. Since this takes a lot of effort, experts recommend that people first look for ways to reuse the bricks before recycling. Although most plastics are recyclable at a local recycling organization, knowing how to make plastic easy to recycle can be complicated for homeowners. First, there are not one but seven types of plastic resins. Since each one has a different chemical makeup and possible applications, they must be separated from the others for processing. Finding out which type of plastic the item contains can be difficult, especially if the number is not clearly marked. Handy homeowners may be familiar with the use of PVC in plumbing, roofing, and other building materials. Plastics like HDPE also have possible application in materials used to build homes, such as fences or decking. Unlike glass, which must be kept whole, plastic needs to be shredded into smaller pieces for recycling. The recycling plant takes the separated plastics and removes any particles made of other resins. 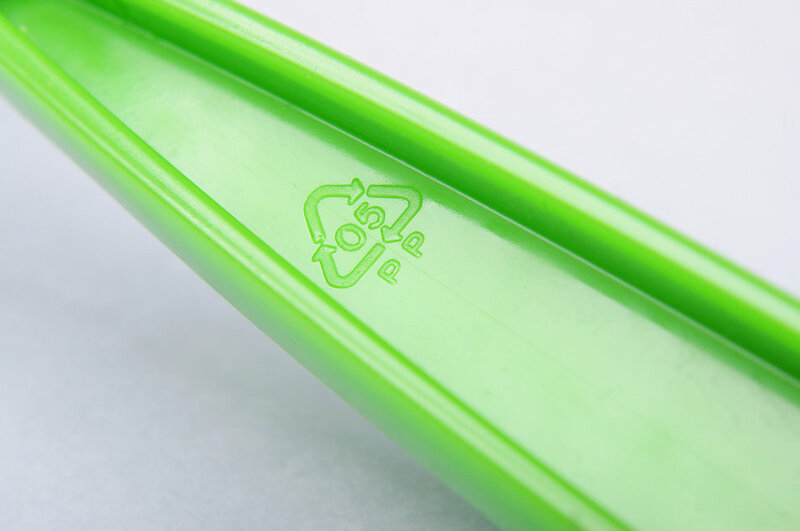 Once the plastic has been shredded, it is cleaned of any leftover soap, food, or any solutions. The shreds may be melted down and reshaped at the plant, converted into pellets for use in manufacturing, or shipped to another location for further processing. Plastic is lightweight compared to other recyclable goods, making it more appropriate for transport. Apart from the sheer volume of gypsum (also called wallboard or drywall) that could occupy the world’s landfills, there are other environmental reasons to recycle gypsum as much as possible. Gypsum contains calcium sulfate dihydrate. In a wet climate, a particular kind of bacteria feeds on the gypsum and produces methane gas. In addition, burning it could produce sulfur dioxide, a poisonous gas. Finding other ways to handle gypsum waste during renovation or demolition of a home could be a practical way for homeowners to minimize these problems in their region. Contamination and the difficulty of removal makes gypsum typically inappropriate for reuse. Many recycling plants are prepared to separate out these elements so that the gypsum can be returned to a raw state, however. Homeowners should investigate local options for recycling, and ask if they need to separate any components before delivering the gypsum or requesting pickup. In many cases, this product is delivered directly to manufacturers of gypsum products. This limits the amount of raw material that manufacturers have to purchase new, by creating a simple cycle of production and reuse. As much as 30 percent of new gypsum board can be made of recycled material. The lifespan of a roof depends greatly on the material used. Some products, like asphalt shingles, are often rated to last about 10 years but may function properly for up to 25. Others, such as slate, could last longer than the house itself. Whether they're remodeling, demolishing, or adding onto a home, homeowners have options when they want to recycle or reuse roofing materials. People need to evaluate the quality of the product and how it can best be put to future use. Some products may no longer be appropriate as a roof, but could be used in other parts of the home structure or as décor. Those who want to recycle the material should consult with local recycling companies about their requirements. In many instances, the sheathing of the home does not outlast the roofing. In fact, many homeowners end up replacing their roof material because the sheathing, the support underneath the roof, becomes damaged. If it is in good condition, people may decide to keep it on the house and replace the roofing with something new. The makeup of the sheathing affects its recyclability. Some recent innovations allow roof decking and other parts of the roof to be comprised of paper products. People may be able to recycle these. If the sheathing is made of plywood or oriented strand board (OSB), it might not be a good candidate for recycling. Engineered woods, especially older ones, may have been treated with chemicals that make them impossible to recycle. Homeowners should consult with their local recycling center to find out if their sheathing could be safely recycled. Slate roofing is a classic stone product that features in many historic homes. Given its hardy nature, it can last much longer than a home’s structure. This means that a slate roof that is 50 or even 100 years old might have decades or centuries of life left. 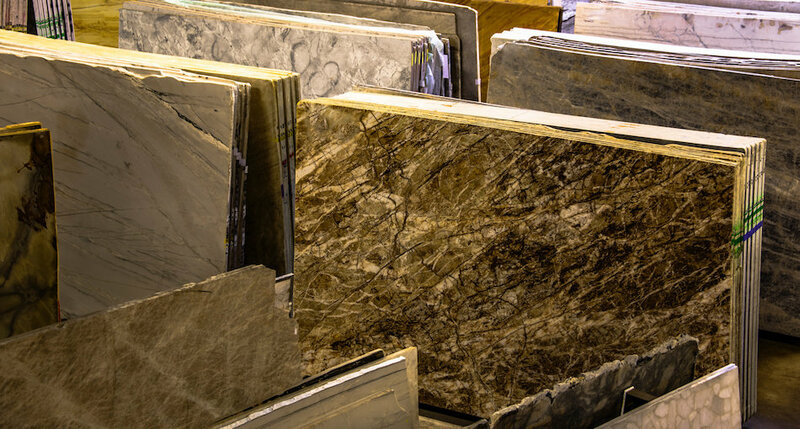 Since it is a natural stone cut to size, it is typically more appropriate for reuse than recycling. It can be a high-demand material for people looking to restore older homes to meet local regulations. Some people decide to use the tiles as flooring in their kitchens and bathrooms. Each tile requires careful examination to confirm that it is still in good condition. Slate is prone to breaking if installed improperly. 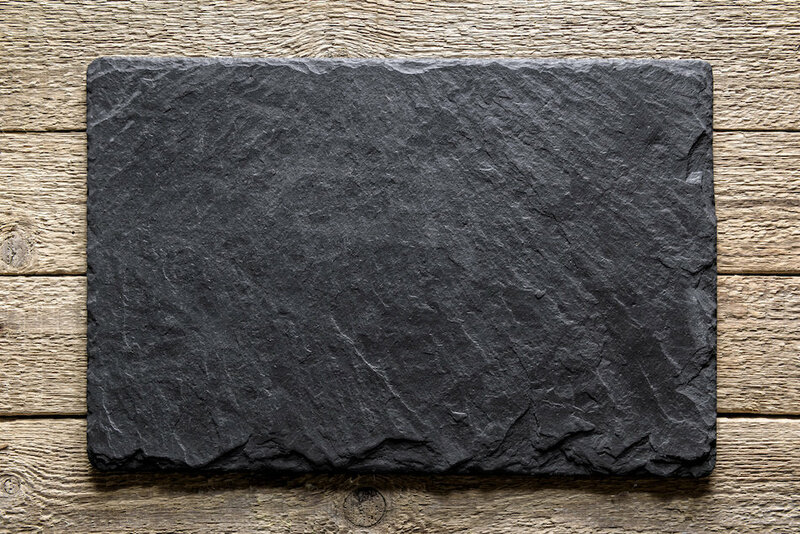 Homeowners should be careful to research the weight requirements of the surface before installing slate. It is very heavy and may need additional support before using it in flooring, countertops, or roofing. As another natural product, roofing made of wood may seem like an obvious choice for recycling. For most people, it depends on the way the product was manufactured. Many cedar shakes are treated with a preservative that slows down the degeneration process. This treatment may make them poor candidates for natural wood recycling like composting. Without this treatment, homeowners could potentially be able to take them to a local recycling treatment for processing. As an alternative, wood shakes that are in very good condition may possibly work as a roofing or siding material for outbuildings or doghouses. Homeowners just need to keep in mind that the wood breaks down relatively quickly and may not last as long as it did on the home. Converting the shingles into mulch may be appropriate, if any substances on the shakes are not toxic to plants. People should research local guidelines before burning the shakes. Like slate, clay tiles have a reputation for outlasting the homes underneath them. Clay is harvested from the ground and baked into a particular shape. Once baked, they can be reused but not generally recycled. Although individual tiles can break or blow off the roof over time, they tend to hold up well for many decades. Since they have been a popular roofing style for centuries, homeowners with older structures may look for antique tiles to replace ones they lost. People have a fair bit of freedom in the use of clay tiles outside of roofing. They are strong when installed appropriately, making them a reasonable choice for outdoor walkways. Clay is already fired at a high temperature, which helps it resist damage from heat. Homeowners might enjoy using the tiles to build an outdoor kitchen or firepit. People should consider the weight/difficulty of transporting the tiles if they want to sell or donate them. Asphalt shingles may be one of the easiest roofing materials to properly recycle. Asphalt is a popular choice because of its affordability and ease of installation. 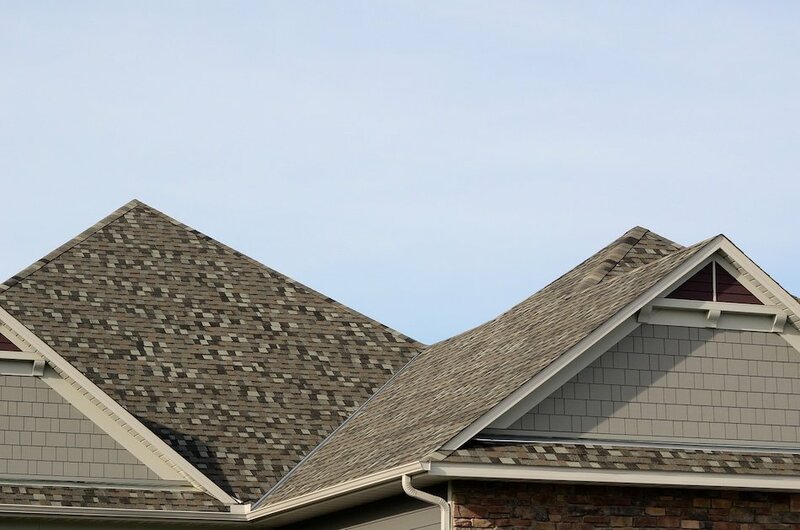 The shingles are often made out of a fiberglass mat covered in asphalt and then coated with granules of sand, stone, or ceramic. Over time, the granules start to fall off, indicating that the shingles are ready for replacement. At this level of deterioration, they cannot be reused. In many parts of the U.S. and Canada, homeowners can arrange to have their asphalt shingles recycled. Homeowners can hire a roofing expert to take off the shingles or remove it themselves. A designated recycling plant removes the nails and chops up the shingles. They can be used in asphalt to pave roads as well. Homeowners might be surprised to learn how many roads have been made easier to pave through the recycling of materials like concrete shingles. In fact, concrete is an ideal product for recycling. Producing concrete is quite energy-inefficient at the extraction, manufacturing, and transportation stages. As a result, city administrators and local builders often look for ways to reuse it. Homeowners may pay less to have a recycling company haul away their concrete shingles than to dispose of it in a landfill. Similar to asphalt, concrete is often used in roads. At almost any size, concrete pieces can be crushed and combined with sand or soil to create road base. This provides a supportive base on which asphalt paving for roads can be applied. Many companies will pick up the concrete for a fee. Homeowners should ask if transportation is included, since concrete is bulky and heavy. Anyone who has recycled a can knows that aluminum is one of the most widely-recycled products in the world. The metal component of the roof matters, as some products are easier to recycle than others. Aluminum and steel, two common metals used in modern roofing, are lightweight, strong, and durable. The roof is typically installed in panels that can be removed by a roofing professional. The metal is then taken to a facility where it is melted down and converted into hundreds of other products. Recycling metal roofing is part of a long tradition. Most of the metal roofs installed today contain some portion of recycled material. In some cases, up to 95 percent of the roof has been used as something else. Although many products that are technically recyclable often end up in the landfill, metal is practically guaranteed to earn a second purpose. EPDM is a material made from oil and natural gas, as an artificial rubber-like substance for roofing. For years, it was removed from homes and sent to a landfill. In the past decade or so, experts have discovered that EPDM is not only recyclable, but eminently so. The roofing material is typically installed in sheets that are not particularly difficult to remove. Once the EPDM has been stripped from the roof, homeowners can send it to a recycling company for processing. The company grinds down the sheets into a powder. This is mixed with a binder and sprayed onto various surfaces to make them slip-proof and softer. These applications include concrete or asphalt walkways, playground equipment, or pool decks. Although EPDM recycling was not an option even in the early 2000s, experts believe it is now the most commonly-recycled roofing material. Vinyl (PVC) roofing has been an option for homeowners for decades. PVC can be heated to a certain temperature and reshaped multiple times, offering several rounds of recycling opportunities. Over more than 20 years of research, experts have learned that incorporating recycled PVC into new roofing or other products generates similar performance to PVC that is completely new. The major difficulty homeowners face is to find a location that is prepared to take this particular material for recycling. Generally, recycled PVC only comprises a small part of a new vinyl roof. This is largely because the material is simply reshaped, so the colors remain the same. The recycled part goes under the new. With proper removal from the roof, PVC can be converted into other purposes. For example, some companies use recycled PVC in asphalt products that harden quickly and provide added stability for the road. Disposing of old appliances is something that people may have to do many times throughout their life as homeowners. Most appliances are only rated to last 10-15 years, and some will wear out or become outdated in less than five. Depending on the equipment, people may be able to recycle, sell, donate, or keep them. Knowing their options will help people determine the best course of action. For homeowners who are planning to move, it is worth considering if they can take these items to the new home. This may be an easier decision for small appliances. It is a frequent choice for newer refrigerators, washers, and dryers. Most of the time, equipment permanently installed in the home (e.g. a water heater, furnace, or air conditioner) will not be appropriate for use in a different house. If people decide that they will replace their current appliance, they need to identify a proper way to dispose of the old one. Selling equipment that works well and is generally in good condition is a common task for people preparing to move. Listing appliances for sale on local sites is a popular approach. Homeowners might also consider looking for companies that buy and refurbish old appliances. These organizations can often determine if the equipment is useful to fix up and sell or donate, or harvest for spare parts. Donation acts as a fairly simple exchange, particularly for small appliances. Charities and relief organizations that provide resources to people in need often need useful kitchen, heating, cooling, or cleaning devices to meet their service goals. Depending on the type and amount of donation, both the U.S. and Canada offer tax deductions or credits for people who make charitable donations. For regular appliance recycling, the steel is often the most important part. Steel is a major component of both small and large appliances, and is in high demand at most recycling plants. These appliances are often accepted at electronics recycling centers, as well (some newer products may also have onboard computers). Homeowners should ask the local recycling outfit how they should prepare their appliances for transport and donation. In some instances, they may need to remove certain parts before delivering it. The decision to keep, recycle, or donate certain types of millwork in the home depends on a few different factors. Almost anything in this category, from thin baseboards to solid hardwood entry doors, could be extracted for immediate use in another building. Homeowners need to determine if they can safely remove the item without damaging it before making a choice. A piece’s makeup affects whether or not it can be recycled. Engineered woods are often used to build home fixtures like cabinets and molding. Depending on their age and the wood’s treatment, they may be a candidate for recycling. Otherwise, cabinets and stair railings can function in the same use for decades with proper installation and care. Sizing standards in construction mean that such millwork could readily transfer from one home to the next. Most of the time, homeowners could add a new finish or paint color to make an outdated item look suitable for a modern design. Doors in good condition can be reused in a homeowner’s new home or donated to organizations that build housing for others. Since doors typically come in standard sizing, they may be appropriate to put even in an existing home. The way doors are typically reused or recycled depends on the materials. For example, steel doors may be easier to sell or donate because they are sturdy and tend to hold up longer. They will also be more readily accepted for recycling, if they have sustained enough damage to no longer function as a door. Homeowners can consult local guidelines for recycling of doors made of engineered wood products. Homeowners usually need to replace their windows every 10-15 years or so. Old windows tend to be less efficient, even if they are otherwise in perfect condition. People may be able to sell their windows to private consumers or organizations that will package them for reuse in another space. For windows in older homes, it is important to test for lead paint before removing them. Windows without chips or cracks are ideal for reuse. Glass in good shape that can be polished until it is clear is also a good candidate for recycling. Homeowners should ask their local glass recycling center about the best way to prepare the window for recycling. Some businesses are willing to pick it up to protect it from breaking during transit. The casing may need to go to different location. Swapping out lighting fixtures is one of the least expensive and fastest ways homeowners can renovate a space. Determining what to do with the old fixtures relates to the type of fixture, its age and condition. If people want to keep the fixture for use in another home, this is usually an option. Unlike other electronics that require regular updating, lights do not necessarily need to be upgraded to work with new light bulb technologies. If the light fixture is in good operational condition, with no exposed wires or broken pieces, it can be easily sold or donated to charity. Since all light bulbs contain delicate glass, they should be packaged separate from the light fixture. Most light fixtures contain metal, which could be harvested for scraps. If the fixture is not viable for reuse, homeowners may be able to give it to a scrap metal or electronics recycling program. In this case, people should remove the light bulb and any components that cannot be recycled (e.g. a plastic or fabric lampshade). Bulbs can usually be recycled, but may be need to be sent to a different plant for safe processing. Unlike many parts of the home outside of the actual structure, plumbing fixtures tend to hang around for decades. Homeowners often conclude that they should not fix what is not broken. A well-built faucet or pipe may not crack or leak in a generation or longer. Visible fixtures are more likely to be replaced. While switching out an old faucet can give a room a fresh new look, homeowners should understand their options for reuse or recycling. Charitable organizations will regularly accept these for donation if they work well, have no cracks or visible damage, and do not contain any hazardous materials. The composition of the plumbing equipment affects how it can be recycled. Old fixtures were often made of brass. This equipment may contain lead and should be removed and handled carefully. Faucets sold in recent years may have a plastic exterior and an interior made of some kind of metal alloy. These typically do not provide a high rate of return at recycling centers that buy scrap metal, but that may be the best place to take them. Plumbing pipes can usually be recycled as well, especially if they are made of copper (without lead solder) or PVC. Depending on the flooring that homeowners choose, they may need to upgrade it periodically or not at all during their stay in a home. Older homes could contain layers of flooring tacked one on top of the other. People trying to reach the subfloor might lift up their carpet only to discover linoleum glued to solid hardwood. Homeowners’ ability to reuse or recycle the flooring relates to the material, any treatments, and the factors surrounding its installation. Flooring that was laid on the subfloor without glue may be very simple to remove and therefore easier to reuse. Products with harmful chemicals sprayed on or used to adhere it to the subfloor may make certain options impractical either for reuse or recycling. 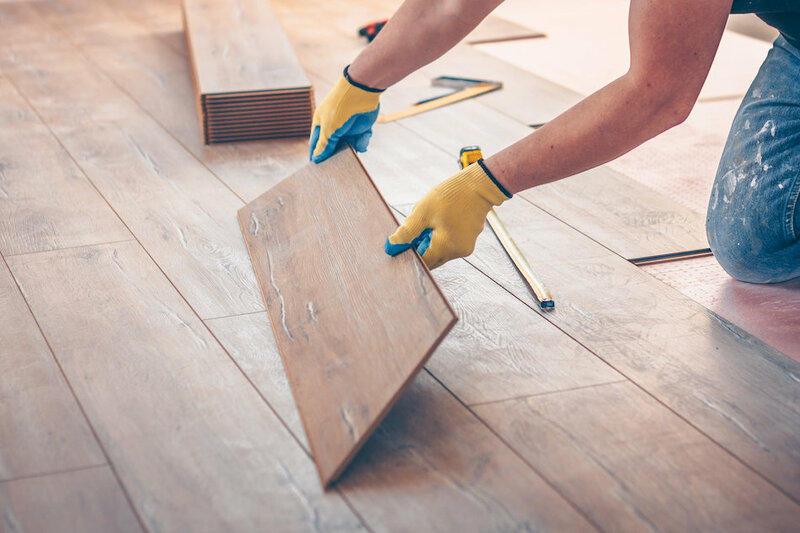 Careful consideration of these factors can help homeowners decide if they want to reuse, sell, donate, or recycle their flooring once they have taken it out. Solid hardwood is perhaps one of the best flooring options for long-time use and reuse. Hardwood in planks, especially more recent versions that can be placed without adhesive or nails, are relatively simple to install and remove. Avoiding the use of permanent attachments minimizes damage to the wood once it is taken off the floor. However, even planks that have been nailed to the floor may be safely pulled out. Homeowners may want to hire an expert to perform this task if they want to reuse or sell the planks. There is a sizable market interested in reclaiming wood planks from older homes or homes that contain exotic hardwoods that are hard to come by, such as zebrawood. Homeowners who are willing to do some research could find local companies that will buy their excess hardwood planks and haul them away from the property. Planks that have been treated only with natural solvents could be composted or mulched, but most cannot. People can ask a local center for requirements to recycle wood flooring for use in other building products. Engineered hardwood may have similar options, depending on its condition and how easy it is to remove. Portions of laminate flooring could be reused or recycled, depending what they are made from. In many cases, laminate flooring is installed using a tongue and groove method. This allows homeowners to have a flooring material that is not glued or nailed down. The approach is designed to make it easier to replace damaged planks as needed, but also poses an opportunity to use laminate flooring in another space. People who take out the flooring without damaging it can use it as an inexpensive resource in their next home. Laminate can be recycled in certain circumstances, as well. Laminate flooring is made up of many layers, the thickest of which is made of wood particles or melamine. Pressed wood products like plywood can often be recycled at plants equipped to handle treated wood. Melamine is a plastic resin that is mixed with formaldehyde to create a very strong base for laminate flooring and other wood-like products. It cannot be melted down like other plastics, but could be ground into pieces for wood composite. The best way to dispose of linoleum depends on the components used to manufacture it and adhere it to the subfloor. Homeowners should make sure they understand the difference between linoleum and vinyl flooring. The original linoleum was made of natural ingredients. In many cases, it could be safe to compost or even burn. People looking to do this should check to see what is in the adhesive used to stick the linoleum to the floor. Older homes with linoleum may have asbestos glue. Asbestos can flake or peel and cause significant health problems if inhaled. Vinyl flooring, sometimes called linoleum, is a manmade product consisting of polyvinyl chloride (PVC). This is a plastic that can be recycled in certain instances, but burning it could release harmful chemicals into the atmosphere. In this case, homeowners need to contact local recycling centers to find out if they will accept PVC. Vinyl and linoleum that is glued to the subfloor usually is not practical for reuse. Vinyl planks and tiles that are installed using a “floating floor” method could possibly be removed and used on another floor. Like solid hardwood flooring, bamboo is a long-term flooring choice that can be reused or recycled in designated facilities. With proper care, bamboo planks can be sanded down and refinished several times, similar to hardwood planks. This means that a handy homeowner skilled at removing flooring might be able to pull it up and take it to a new home for decades of effective use. People could also take the planks and convert them to another purpose, to line seating for a bench or build a landscaping feature. In most cases, homeowners cannot compost or burn bamboo flooring. Like many other wood-like products, bamboo is often treated with formaldehyde. Incinerating it could release toxic fumes. Certain organizations will take bamboo donations for reuse or recycling. People may want to confirm that facilities that take wood will also take bamboo. Since it is a grass and not actual wood, companies that handle wood may not be prepared to take it. If sent to the landfill, bamboo will naturally biodegrade, although artificial treatments for the surface may take longer. As a porous surface, carpet is generally not appropriate for recycling. The contamination of the fibers through wear, dirt, and stains means that trying to return it to a raw fiber stage would require too many resources to be practical or efficient. Instead, homeowners could possibly reuse their old carpet in smaller home projects. Carpet can be easily cut into pieces of virtually any size. This allows homeowners the convenience of cutting away stained or worn portions, leaving the rest of the clean and presentable carpet for another use. Before cutting the carpet, people should try to remove as much debris as possible. The pad between the carpet may in some cases be recycled if it is not moldy. Consumers need to inspect the carpet pad and contact their local recycling facility for more information. Copper is a particularly valuable metal commonly found in the home. Copper is in high demand worldwide, but the ore is getting harder to mine. This makes recycling efforts more important, and scrap dealers will pay a premium for copper in excellent condition. Homeowners may be able to remove copper wiring and other scraps for sale or donation to a recycling center. People who want to sell the wiring need to prepare the wire so they get the best deal. Homeowners who have a lot of leftover copper wiring from their home renovation projects should gather it all together and start sorting it. Removing insulation and end fittings can increase the value. The lowest grade of copper includes foil and other very thin products. The second pile should involve wiring that is damaged in some way or has other materials attached to it. The top grade includes wiring that is in excellent condition with no corrosion, paint or tarnish. People should twist each group of wiring into a coil to protect it and make it easier to transport. Those who want to sell the wiring should call at least a few companies to ask about pricing and guidelines. Anything less than about 20-25 pounds (~10 kilograms) might not be worth the time to prepare. Some businesses only take scrap in large quantities. Since the value is set by weight, homeowners should look for organizations that use non-portable scales, as they tend to be more accurate. Depending on the material, countertops can be a useful and high-demand material for salvage. Solid surface countertops tend to be the easiest to remove without damaging the surface. Counters made of granite, marble, or quartz often have the highest value for homeowners who might want to sell it on the secondhand market. People might start by looking for a contractor who refurbishes and sells salvaged countertops. This professional might be willing to take out the countertop to ensure that it remains in one piece. The old countertop can be put to various applications. Someone might be willing to buy a whole slab and use most of it in their own kitchen design. Others could take the slab and cut it into tiles if the current size does not fit their remodeling plans. For valuable countertop materials, almost no size is too small. A granite tile that chips during demolition could be cut into smaller pieces for a backsplash. The ability to sell a used countertop may be more difficult based on the region and the current demand. Homeowners might also consider donating the counter material to a charitable building organization. Before starting on the project, homeowners might want to clarify their interest in resale or recycling. This will help direct contractors in the best way to remove equipment. Old toilets, particularly ones with a higher flow, often cannot be reused as toilets. Although homeowners can remove the wax seal and put on a fresh seal to use them over again, some areas restrict people from installing toilets exceeding the current efficiency standards. If the toilet is less than 20 years old, it might already meet these requirements. In that case, it may be up to homeowners to decide if they want to reuse it. People may have to search a bit to find a location that accepts toilets for recycling. Many locations that take concrete will also take porcelain for the same purpose, but they may not use toilets. For old, inefficient toilets, some regions have programs where homeowners can exchange an existing toilet for a discount on a new one. Instead, people can either recycle them or find a creative way to use them differently. Toilets are made primarily from porcelain, which is fired at a high temperature. It is resistant to heat and water. For example, an old toilet bowl might make a creative planter or a seat for a backyard landscape. The ability to recycle or reuse a bathtub relates to the material and the difficulty getting it out of the space. In many cases, contractors end up having to break the bathtub into several pieces to remove it. This is even more common for a tub-shower surround that was cast in a single piece. Salvage yards will occasionally pay for cast iron bathtubs, but usually much less than the price for steel or copper. Homeowners should consider the age of the equipment, as an antique bathtub might have value in the secondhand sales market outside of its composition. Bathtubs made from cast iron could have a variety of uses outside of the home. They are hardy, will hold a great deal of water, and can hold up well under extreme temperatures. Farmers or horse enthusiasts might use them as a water source for livestock. Homeowners could also use them to create a water or plant feature in their yards. People should use paints or finishes that are listed safe for plants or animals if they plan to use the tub in this way. With a plan for safe handling, homeowners can minimize injury and mess, and find the appropriate place to put old bulbs. First, people need to make sure to turn off the power to the light fixture or unplug it before removing the bulb. Simply turning off the light switch might not be enough to guarantee safety. Second, homeowners should allow the bulb to rest until it is completely cool. Once it is room temperature to the touch, people can disconnect the bulb or tube from its connector. Extracting a bulb requires a delicate hand, and homeowners may want to wrap it in a paper towel or soft cloth before twisting it. Incandescent, halogen, and LED bulbs can often be thrown away, but people may want to see if their local recycling company will take them. There may be parts inside the bulb that can be retrieved for further use. Compact fluorescent (CFL) and fluorescent lights contain mercury and must be taken to a designated facility for proper disposal. Taking them to a landfill could release toxic mercury into the soil and air. Due to their size and content, homeowners should take extra care to avoid breaking fluorescent tubes. If the ceiling is high, they may want to ask a second person to take the tube so they can climb down the ladder. Before transporting, each bulb needs to be wrapped separately with foam, bubble wrap, or paper. This will keep the bulbs from shattering on contact. People who look at home demolition, additions, or remodeling projects from a sustainability standpoint should remember that it is not all or nothing. Many aspects of a home are ready for reuse but may not have a local market of people interested in doing that. Some construction debris is easy to recycle in some areas but not others. The truth is that almost anything in the home can be put to another purpose that does not involve sending it to the landfill, if people are willing to do the work. Unless homeowners are doing the project themselves, they should consider asking for specific information from any company providing demolition services. This will help them sort out the kind of debris they have. Homeowners may want to start by hiring a contractor who specializes in renovation for reuse or recycling. This could cost more, simply because demolition with a care for the materials’ condition can take longer and require more care. Professionals with experience in the field will often know more about local recycling facilities’ policies and what they will take. They may also have connections to markets for secondhand building supplies. Like recycling containers for consumable goods, homeowners should avoid assuming that every recycling company will take any product that is technically recyclable. A business that specializes in plastics may only accept certain resins, so knowing the numbers is important. People should do as much online research as they need to locate the nearest recycling facilities, determine their hours, and understand the rules for deliveries. If they do not offer a haul-away service, homeowners can look for businesses or organizations that function as a go-between. By engaging services in this way, people can feel better knowing that they are keeping waste out of a landfill, reducing stress on the world’s natural resources, providing employment opportunities, and giving back to their communities.